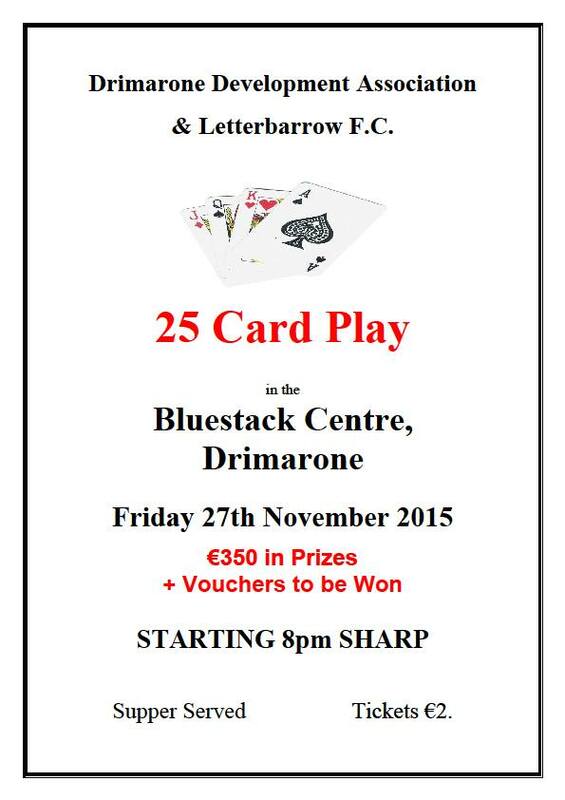 Drimarone Development Ltd and Letterbarrow FC will hold a 25 Card Play night in the Bluestack Centre on the 27th of November. Many prizes and vouchers to be won and supper will be served. Tickets are €2. Everyone Welcome!